The following is a guest blog post from Greg Burdine, Pastor of Faith Baptist Church in Adrian, Michigan. You can find the original post here. We have a choice to make at every situation that confronts us. Will I be positive or negative? Will I encourage or criticize? Or as Ed Trinkle asked recently, Are you a Broad Street Bully BOO BIRD or a Philly Phanatic? Ed Trinkle is from Philadelphia. The Philadelphia sports teams have had great teams and some bad teams. Boo Birds are fans who always boo at the events. Philly Phanatics are those who always cheer the team on. Church is like this. Every church and organization has good times and bad times. We can be a Boo Bird and criticize. But we need to develop a culture of honor and cheer others. From a line in the movie, The Help, Ed shared 3 truths about all Christians. You are smart (John 14:26). God’s Spirit reveals the truth to us if we will listen. We don’t have to share opinions, but share the truth. So, let’s be kind (Ephesians 4:32). We need to be caring and forgiving. We’re all flawed and need forgiveness from others. We should have forgiveness for the flawed people in we met. His Work is important (1 Cor. 15:57-58). Your work for Jesus is important. Whether you’re succeeding or faltering, you’re work is important. Ed Trinkle and Mark Milioni spoke Wednesday evening at Baptist Bible CollegeFellowship Week 2015. 1. Financial Health. Reduce debt. Focus management. Fundraising. 2. 500 students on campus. The decrease has plateaued and now increasing. New academic options. Fewer men and women are surrendering in the ministry. Preachers need to extend the invitation to accept the call to ministry. 3. Launch on-line degree program. It needs to be done with excellence and in line with the purpose of the college. The trustees have made this a priority. 4. Campus Improvements. Older buildings are deteriorating. Improvements have been made. But the campus needs to be inviting to be both students and their parents. 5. Promote our passion. There is no one like BBC – the spirit and the passion is unique. What happens at BBC? Lives change. The motto of the school is now Life Change U. Mark also introduced two BBC students are from Nepal – Sahaj & Kshitiz Ghimire. The student body gave them $1500 and the offering at the evening service was donated to them. Both will graduate this year but their parents couldn’t attend the ceremony. Ed Trinkle has been the pastor of Canyon Creek Baptist Church in Richardson, Texas since April 2015. He is a graduate of Baptist Bible College and continued his education to receive a Master’s Degree in Counseling. 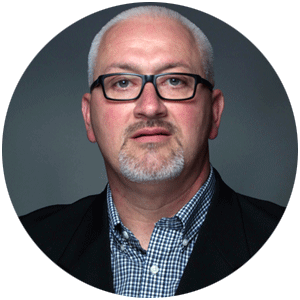 He has a passion to lead churches through transition and church transplanting. 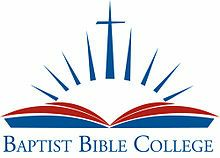 Mark Milioni has been the president of Baptist Bible College since May, 2012, an alumnus since 1988. He has served as senior pastor in Michigan and Ohio. He has two earned doctorate degrees in communication and leadership. Mark is a good friend of mine. Many have mixed up his former Michigan church in Albion and my church in Adrian. Greg has been senior pastor of Faith Baptist Church since 1994. He has been married to Judy, a preschool teacher in Tecumseh, since 1981. They have four children. Jennifer and her husband, Grant Felbaum, live outside Columbus, Ohio, and have a daughter, Savannah. Joshua and his wife, Haley, live in Manitou Beach. Jill and her husband, Chris Henderson, live north of Dayton, Ohio, and have children Ellie & Evan. Justin graduated from the University of Toledo, majoring in Environmental Science. Greg’s passion is teaching the Word of God. He received his Bachelor’s degree from Baptist Bible College in Springfield, Missouri and his Masters and Doctorate degree from Louisiana Baptist University in Shreveport, Louisiana. He has been in full-time ministry since 1982, serving churches in Iowa, Ohio and Michigan. To read more posts by Greg, please visit his blog.